Pendleton West construction is underway. If you’ve been by the area, you may have started to notice changes already. The fences are up, and many plantings, trees and shrubs have been relocated to new areas on campus. In the coming days, several trees will be taken down to make way for the building, landscaping and improvements that, among other things, will create an ADA accessible path to the academic quad through the addition. This raises a question, though: what happens when a tree comes down at Wellesley? 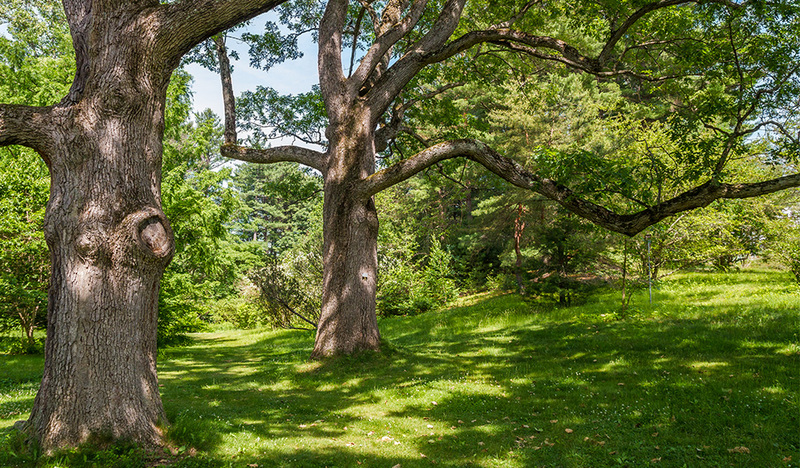 There are approximately 8,000 trees on the Wellesley College campus. Between 20 and 25 trees are lost each year to storms, pests or diseases, structural problems, and other issues. When a tree comes down at Wellesley, whether it falls or is removed, it is used on campus in some other way. Usually, according to Gerard Buggy, senior project manager for Facilities, fallen or felled trees are turned into mulch or reserved for other wood uses, including firewood, composting, and trail restoration. John Olmsted, manager of landscape and motor pool operations, said it has been a decade since the college last had to purchase mulch, due to the recycling operation. The trees removed for the Pendleton West project will also be replaced by new plantings. The landscape design plans call for the addition of some 200 trees. The planting in the new zone, which has been designed to look like the rest of Norumbega Hill, will consist of native vegetation and will also serve to better incorporate the Davis Museum into the existing landscape. Pendleton West, which will add an approximately 10,000 square-foot of additional space for both visual and musical arts to the campus, is being designed to achieve LEED Gold certification. During construction and demolition, 95 percent of construction waste will be recycled, and the building and systems are all designed for maximized energy efficiency. There are also a number of sustainability initiatives that have been incorporated into the project, including vegetative roofs and a landscape plan designed to reduce water runoff. “It is really on the cutting edge of sustainability and energy efficiency,” said Buggy. For updates on the Pendleton West project, and other construction projects on campus, please follow the campus blog, The Dirt.